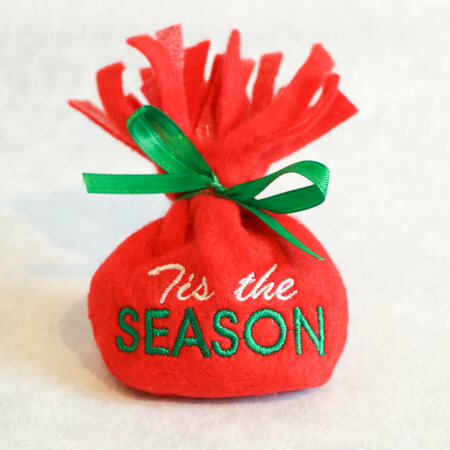 Christmas Fringe Bags In The Hoop - $12.00 : Fancy Fonts Embroidery, Home of the ORIGINAL Trendy Dots Font! 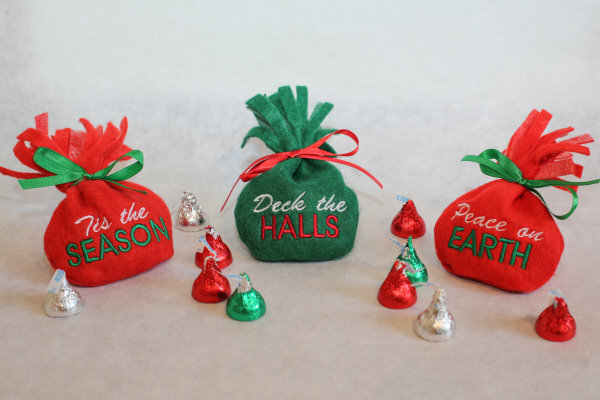 These adorable little bags are super quick and easy to make! Make out of crafters felt or any other type of fabric! 2 sizes are included for the 4x4 and 5x7 hoops. These bags are all done in one hooping, NO sewing required! 6 designs are included in this set, as well as a "blank" bag you can customize with you own lettering or design! 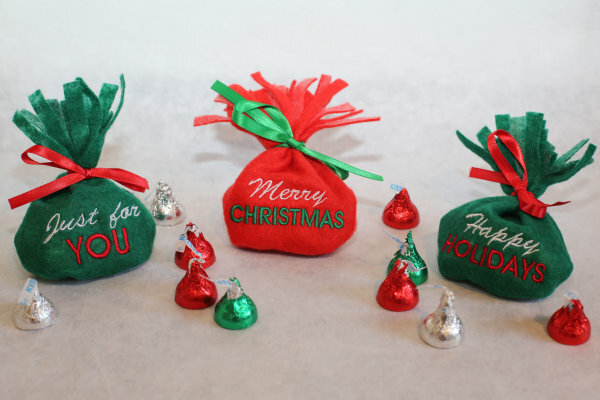 4x4 – 3.83 x 3.90"
5x7 – 4.96 x 5.04"
Fill with candy ( I used Hershey's Kisses and Hershey's Nuggets! ), lip balms, hair elastics, etc! Any small items are perfect for these fringe bags! 6 bags into the one hooping using my largest hoop (9x12")!